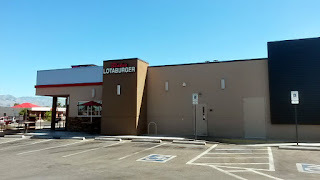 Blake's Lotaburger is a regional fast food chain based out of Albuquerque, New Mexico, and most of their locations are in that state. There are two locations in Tucson. This blog post covers the spot on E Speedway Blvd in Tucson, near the University of Arizona campus. Since there are no Lotaburgers near me, I had to try it for science. They are open for breakfast - and their breakfast burritos also sound delicious - but they do not start serving lunch until about 11 AM. I'm sure many people going to the University of Arizona were elated to find a couple of Lotaburgers in Tucson. 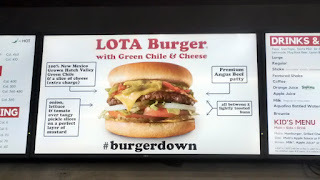 They are probably best known for their green chile cheeseburgers, which start with two lightly toasted buns, a premium Angus beef patty, onion, lettuce, tomato, pickles, mustard, and diced roasted Hatch green chile. Being adjacent to New Mexico, I would expect nothing less than to have tons of Hatch chile available. 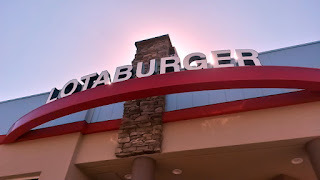 I must say, it's a great burger, and ranks up there with some of the better fast food burgers I've had. Wonderful toasted bun, melted cheese, tangy mustard, fresh veggies, and a good helping of Hatch chile. The chile was not very spicy, but even the hottest varieties are probably not much spicier than a serrano (the usual Hatch chiles I've had may not even be as hot as a jalapeno). Bottom line, I enjoyed it. 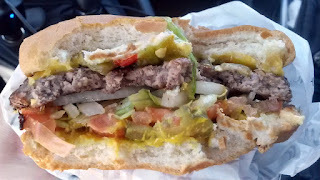 My green chile cheeseburger was only $5.31 (including tax). 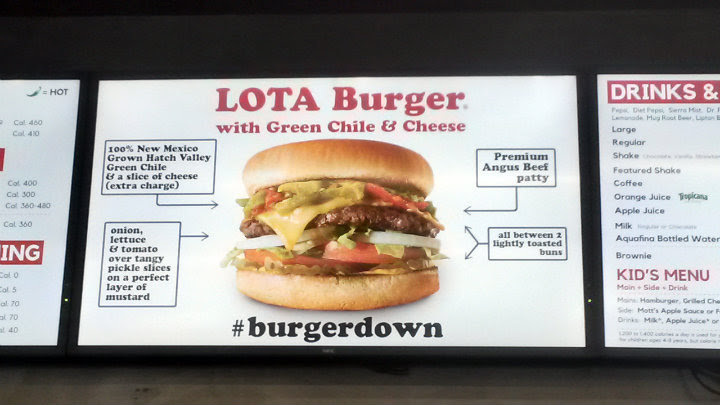 The base Lota Burger is $3.89, add 50 cents for Hatch chile, and another 50 cents for cheese. 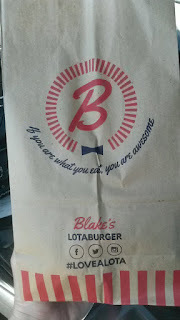 If I'm ever near another Blake's Lotaburger, I was told to get the onion rings. The seasoned fries also sound awesome. Here's something I haven't done in a while...a YouTube video to go with my blog post! Yup, I shot a video of the Green Chile Cheeseburger while in Arizona...in my rental car. Keep in mind that I was there in October, when the temperatures were still north of 90 degrees Fahrenheit. The car felt like a sauna without any air conditioning, so I caved midway through the video and turned the air on. I wouldn't have been able to shoot video in the building; music was loud in there.